Wishes Will Come True With This Cinderella Engagement Ring! 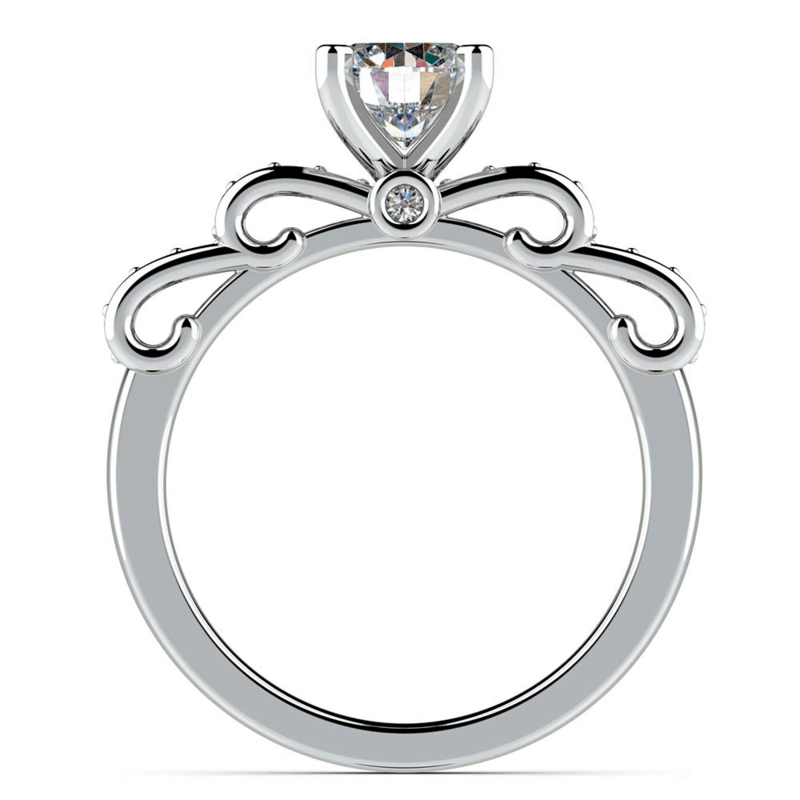 The answer will be yes when the beautiful princess is presented with a ring that reflects her royal beauty and elegance. Propose a future together by offering the ring that inspires a fairytale happily ever after: the Cinderella Ribbon Diamond Engagement Ring. Featuring a double ribbon design encrusted with 0.25 carats of round diamonds in a bead pavé and set in white-gold, the Cinderella diamond engagement ring can be set with any center stone of your choice. For an extra glint of fairytale magic, the regal crown mount hides two bezel set diamonds on the sides of the ring. The engagement ring pairs beautifully with the matching Cinderella diamond wedding ring or a simple white gold wedding band. Every fairytale princess who wears the Cinderella diamond engagement ring wears a piece of art, regal in design and ethical in nature. No princess should be bestowed conflict diamonds, which is why all the diamonds featured in every engagement ring are conflict-free and mined in an environmentally and socially conscious manner. Brilliance adheres to a strict zero-tolerance policy regarding conflict diamonds. Fairytale magic found in the Cinderella diamond engagement ring won’t expire when the clock strikes midnight. The ring is covered by the Brilliance Lifetime Warranty, so Cinderella is covered if the evil stepsisters wreak havoc. Of course, the Fairy Godmother is ready to wave her magic wand and make sure the happily ever after happens without fail. If Prince Charming finds himself in a financial bind, the ring of her dreams can be financed with the wave of a wand. With Affirm loans, pay over time on terms that fit your budget. Cinderella’s ring may be financed over three, six or twelve months. 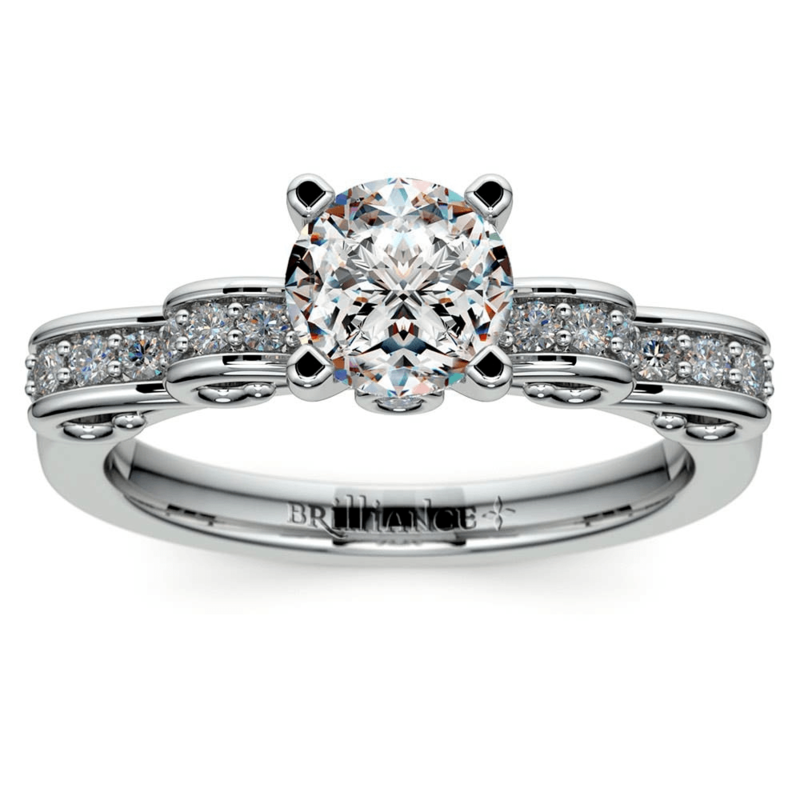 Once ordered, the Cinderella Ribbon Diamond Engagement Ring receives the royal treatment. Prince Charming will never be charged for shipping. Brilliance ensures the magic of the ring’s journey is seamless. Her ring will arrive safely and without worry. Now how the handsome prince presents the magical ring is limited only by his imagination, although tucking the ring into a small glass slipper perched atop a red velvet pillow would be apropos of a true fairytale proposal. 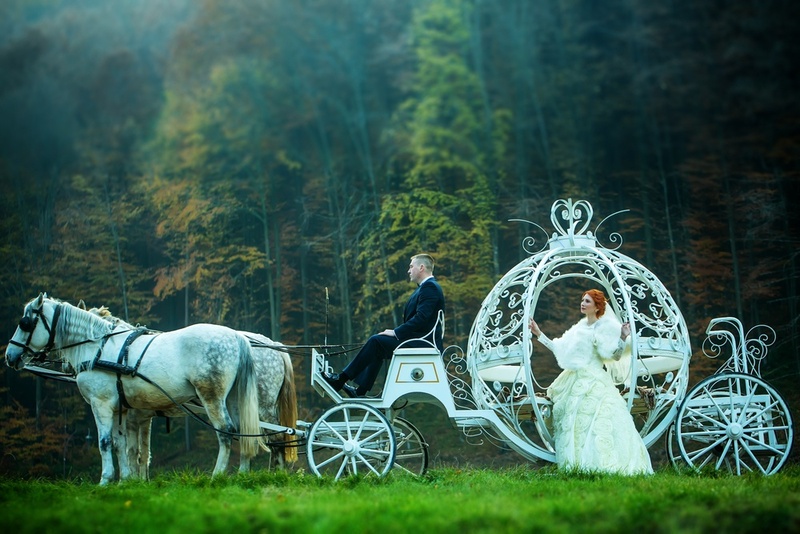 No matter how Prince Charming offers up his lifetime of love and devotion, every princess should feel great about the ring that cements her relationship forever. She should be proud to showcase her engagement ring and shout the news from the tip-top turrets of her castle…and, of course, she should snap an engagement ring selfie on social media to show off her ring to the world. If, for any reason, the princess does not love her ring, Brilliance stands behind every diamond engagement ring with a 30-day, money-back guarantee. Perhaps she might prefer another princess look. Or maybe she wanted a princess cut stone to further elevate her royal status. Whatever the reason, Brilliance has it covered. We won’t, however, replace any lost glass slippers. Some things are best left to Prince Charming.